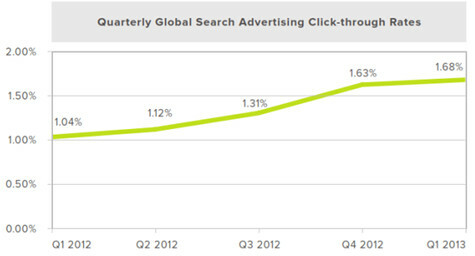 The Q1 global search ad spend has jumped 15 percent from the same time period last year. This finding was the result of a recent report conducted by Kenshoo Global Search Advertising Trends. This search ad spend increase has been largely attributed to a 62 percent rise in click-through rates and a 21 percent leap in clicks year-over-year. SearchEngineLand.com featured more of the highlights from this search ad survey. According to the report, this global increase was driven by a 24 percent rise in U.S. ad spend. Interestingly, CPCs in the U.S. remained higher than those in the U.K., yet declined for both countries and remained flat for the E.U. 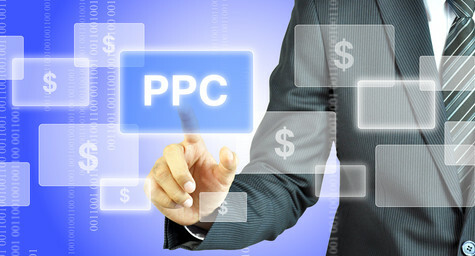 In addition, PPC spend declined by 11 percent in the U.K. and by 4 percent in the E.U. The report also emphasized the ongoing substantial cost efficiencies on smartphones as mobile CPCs have not kept up with the increase in mobile click volume. In fact, U.S. phone clicks represented 8.7 percent of total paid search clicks and just 5 percent of total spend. 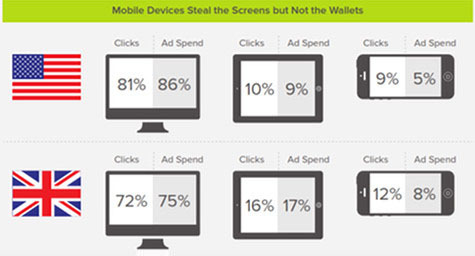 In addition, U.S. computer and tablet click-to-spend ratios were basically even. 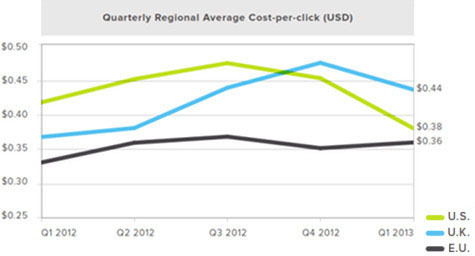 Overall, the 2012 spend for paid search rose 32 percent over 2011, and Q1′s 15 percent jump in global ad spend is a positive sign for the current state of search marketing, as well as the rest of 2013. To learn more about the latest trends in PPC and search marketing, contact MDG Advertising. MDG Advertising, a full-service advertising agency with offices in Boca Raton and New York, NY, is one of Florida’s top content marketing agencies. Our 360° approach uses just the right mix of traditional, digital, and search marketing to reach your advertising goals. We strive to create a balanced approach, where traditional and digital marketing efforts support each other and your message is tailored to the medium. To stay on top of new search marketing trends, contact MDG Advertising.